Empowering learners to achieve their goals. HLT’s revolutionary solutions help students study on-the-go for college admissions tests, classroom courses, professional certifications and licensure exams. At every key point of a student’s educational journey, HLT is there. We deliver learning content when and where students need it most—transforming mobile devices into powerful learning engines. HLT was sparked by paper flashcards that Alec Whitters, Co-Founder and CEO, and his peers were using to study for their dental boards. Wouldn’t it make better sense, he thought, to use their smartphones to study. Developed to help nursing students succeed in class, in clinicals and on their boards. Built for future medical professionals facing exams such as the MCAT, PCAT, and USMLE. Maximize your MCAT scoring potential with this premium tool. 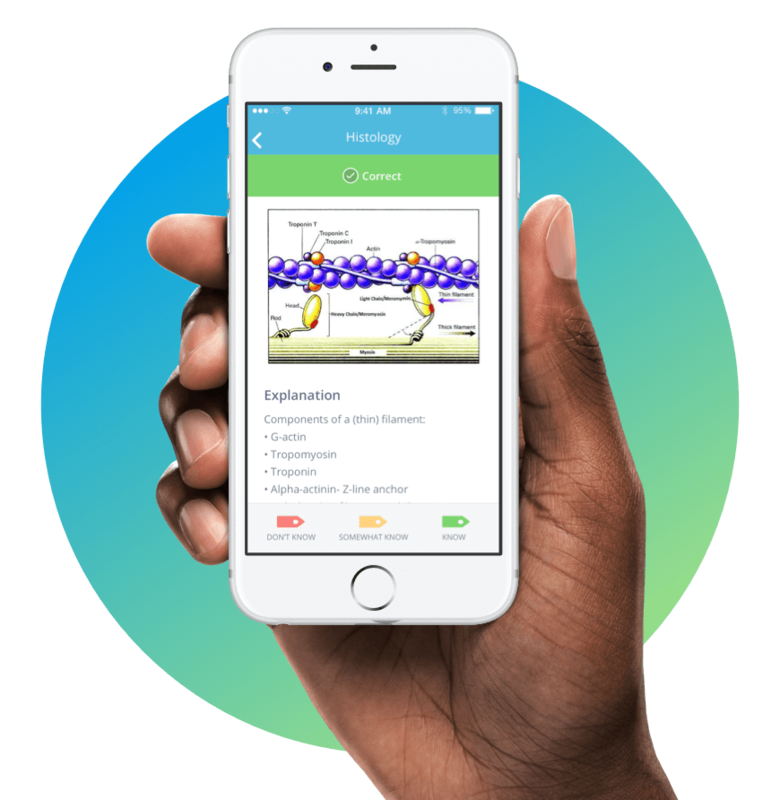 Ace the USMLE Step 1 with this on-the-go study solution. Test your textbook knowledge with 275 real-world scenarios. Ace your PANCE or PANRE exam with PANCE Mastery. Study smarter, not longer for your EMT certification exam. Be ready for your ACLS certification. Created by dental professionals for aspiring dentists and other dental specialists. Study smarter, not longer for the Dental Admission test. Master tooth morphology and occlusion concepts. Pass your boards easily with this award-winning solution. Dominate the NBDE II and begin your successful career. Prepare for the NBDHE with 1,450+ practice questions. Designed to help recruits get past the ASVAB and land their first-choice military placement. Master your ASVAB with 500+ practice questions. Pave the way to your future Air Force career with this study tool. Ace the ASVAB to create your ultimate Navy future. Developed for preparation for the GMAT, Real Estate and financial exams. Pass the Real Estate licensing exam with this effective tool. Pass the PMP exam with ease. Prepare for the AUD section of the CPA exam. Feel confident when taking the BEC section of the CPA exam. Take the FAR section of the CPA exam with ease. Master the REG section of the CPA exam. Created to help students get into top colleges—and to study for tough courses. Conquer the GMAT with 1,100+ practice questions. Get into your top-choice graduate or business school with this study tool. Why do our users love our mobile study solutions? Because they work.